You can find your WordPress site’s Database login password and other details from the WPOven dashboard. 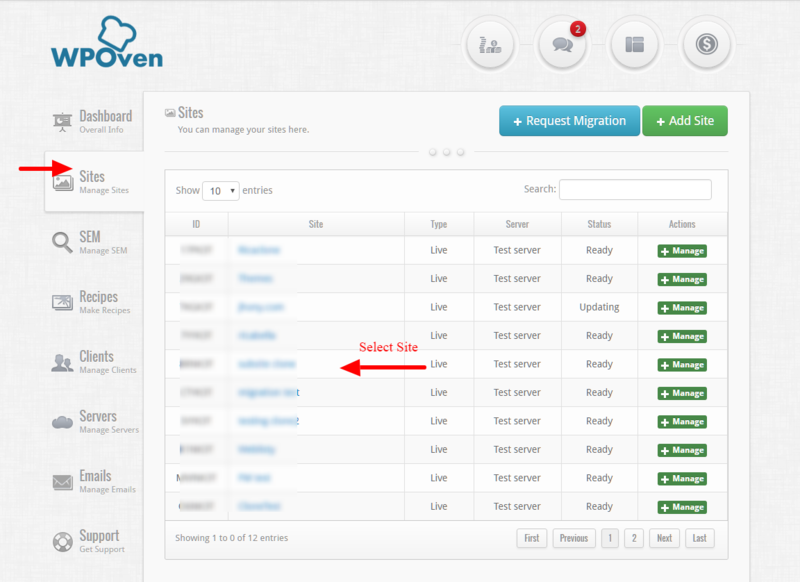 Step 1 : Make sure the site is installed on the WPOven dashboard. Then navigate to the ‘Sites‘ section and select the site you wish to work on. 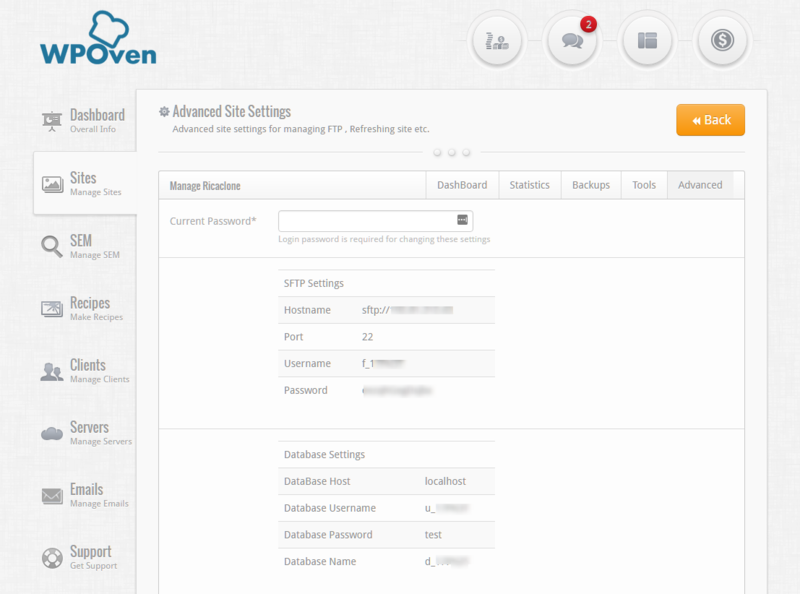 Step 2 : Next Navigate to the ‘Advanced‘ Subtab and enter your current WPOven login password in the field ‘Current Password‘ and click on the ‘Show site SFTP/DB details‘ button. 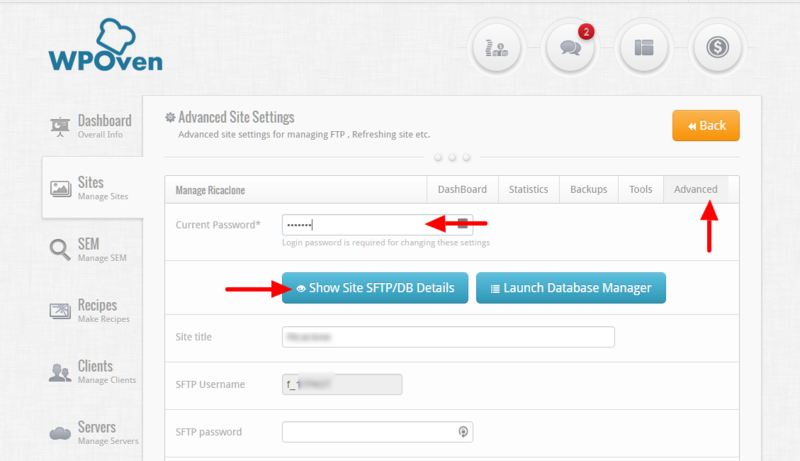 You should now be able to see the site’s SFTP as well as Database login information.